Atlantic Reach are one of our Digital Marketing clients who we help with SEO, Social Media and website updates. It was a privilege to be asked to refresh their photography for a new website being built in September. The brief was to two do two self catering properties, external shots of the holiday resort, the spa, leisure area, restaurant and food. 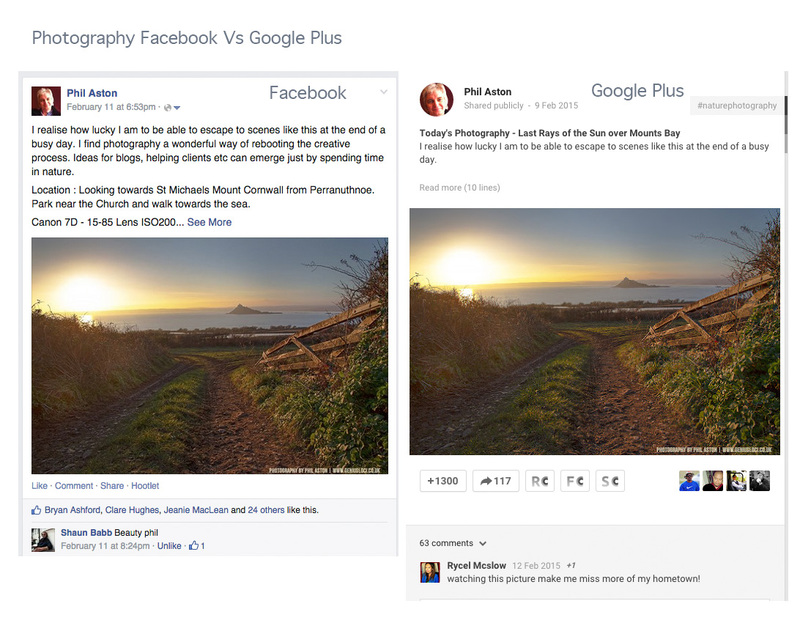 A comparison test on posting photographs on Facebook Vs Google Plus for engagement. Photography can act as a virtual business card and tell people about your brand and your interests. Although we like to think we engage all our senses when it comes to making a purchase, it is our eyes that lead the way. Sometimes you feel you have captured something special, and with this one I felt I had. It had been a busy day in front of the computer and it would have been so easy just to put on the TV. On the coastal path that evening the world seemed to slow down and after taking this photo I stayed there until the sun dropped behind the headland. Taken from the coastal path looking towards Perranuthnoe. My local beach and one of my favorite locations. Perranuthnoe is also a foodies delight with ‘The Cabin, Peppercorns Cafe and The Victoria Inn. My local walk around Perranuthnoe and Mounts Bay is never the same. 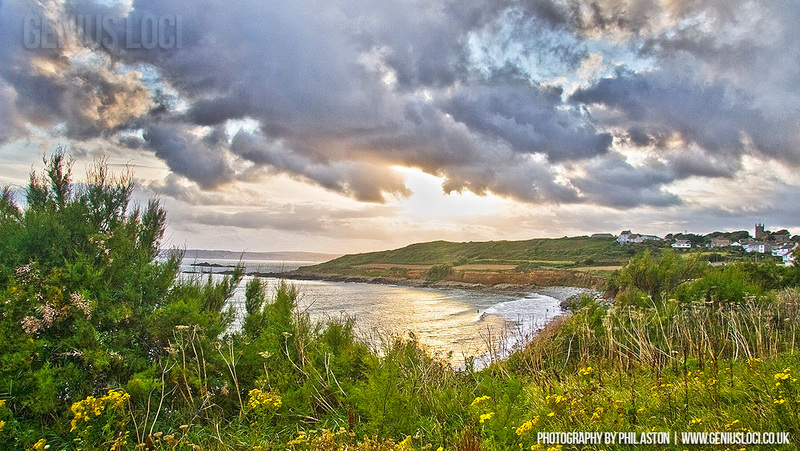 each time the sea, the colours, the landscape changes. We have thousands of photographs of Cornwall in our archive. Just tell us what you are looking for and we will send you some examples. 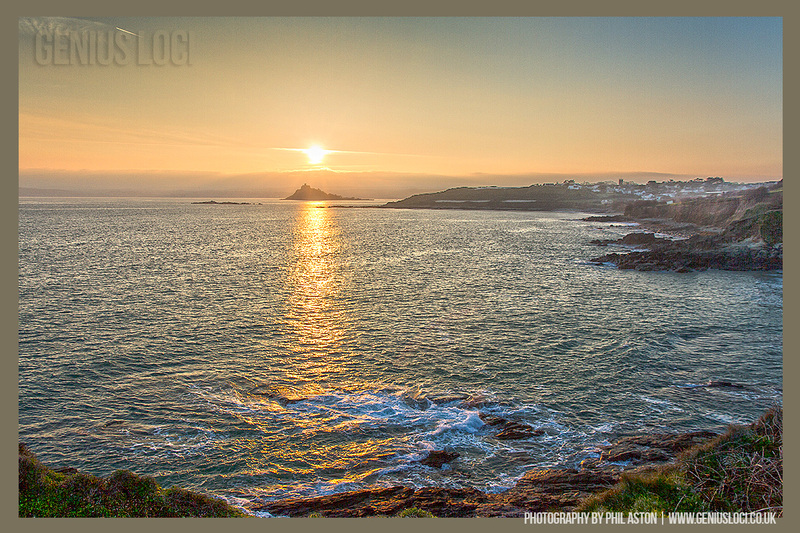 Our photographs of Cornwall have been used in magazines, online, product packaging and in newspapers around the world. 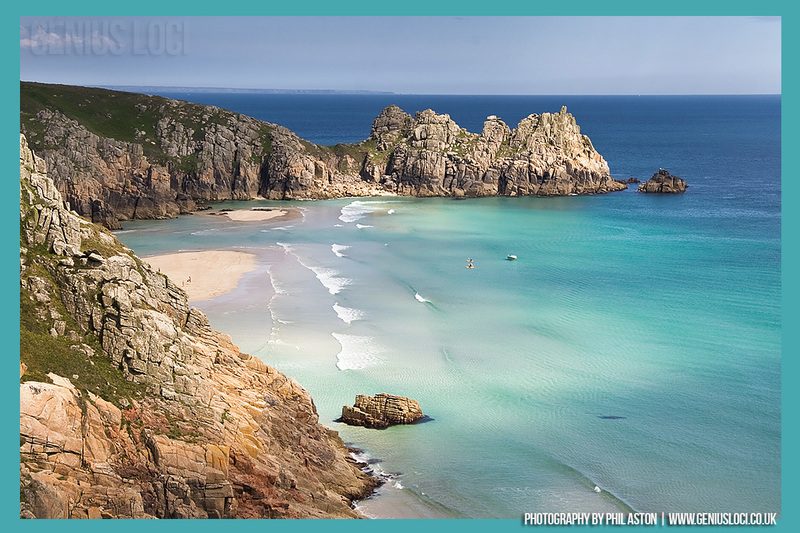 This photograph of the coastline near Porthcurno was taken for a shoot for Visit Cornwall. 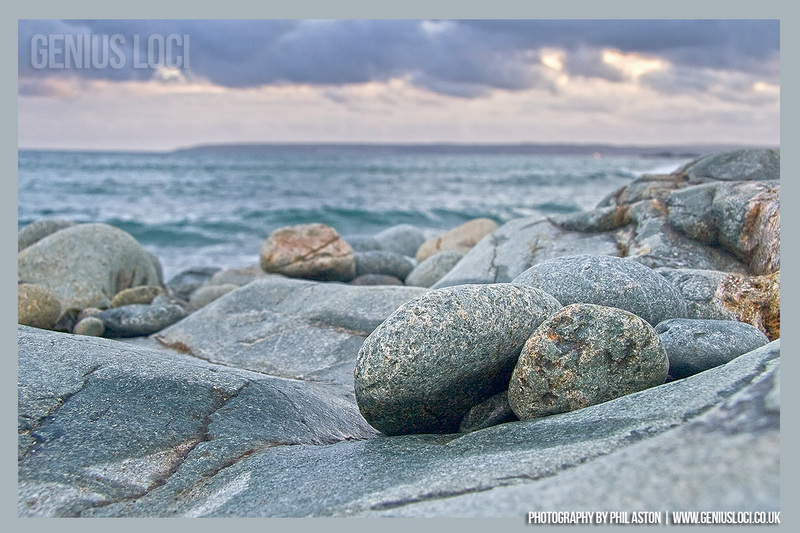 We are working on making more of our cornwall photography available online and to buy directly from our website. 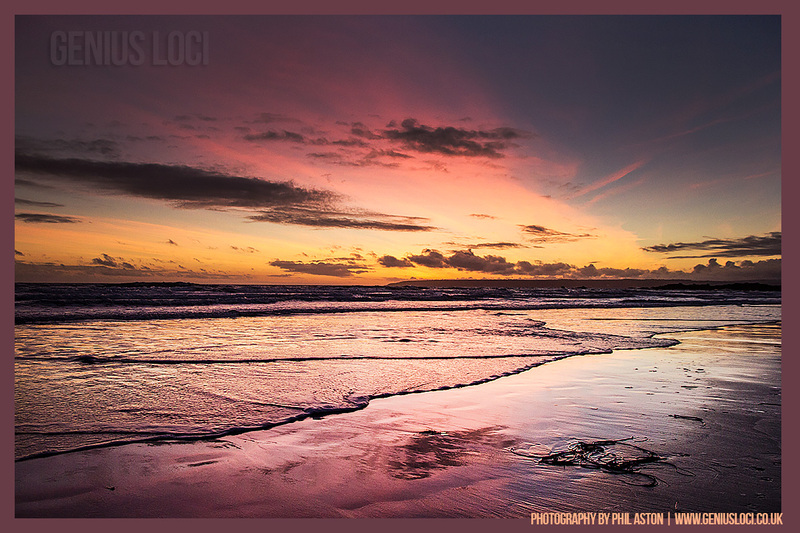 This photograph was taken at high tide at my local beach in Cornwall. 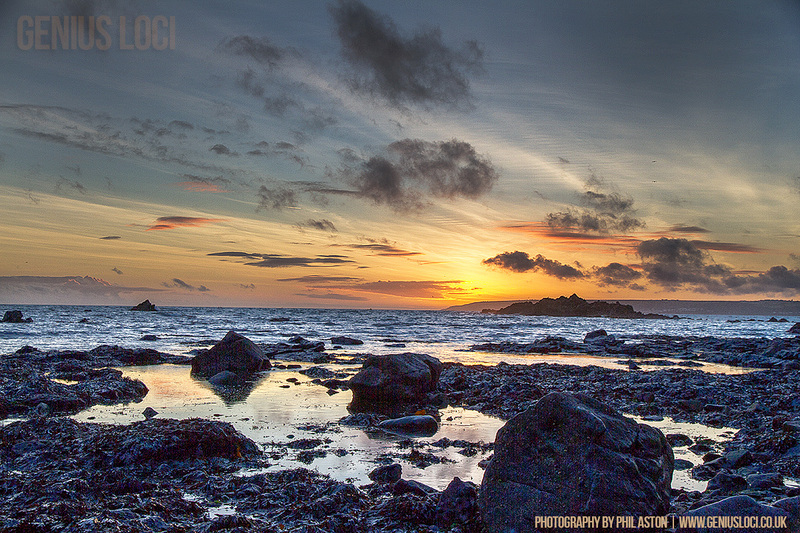 The camera position is very low so as make the rocks in the foreground look quite big. The reality was they were more like pebbles. Taking pictures at knee height shows us the world through the eyes of a child. It reminds us of a sense of wonder which we sometimes forget when we are rushing about. The sunset of this particular day was stunning. I realised as I finished a client website update I did not have long. In the Winter once the sun approaches the horizon you have 10/15mins max before it vanishes As I parked the car I saw the last part of the sun disappear behind the headland!….I was gutted…..
Not wishing to have a wasted trip I ventured down to the far end of the deserted beach and crouching down took some photos. In our modern world of technology and being permanently connected we can lose touch of that childlike sense of wonder. 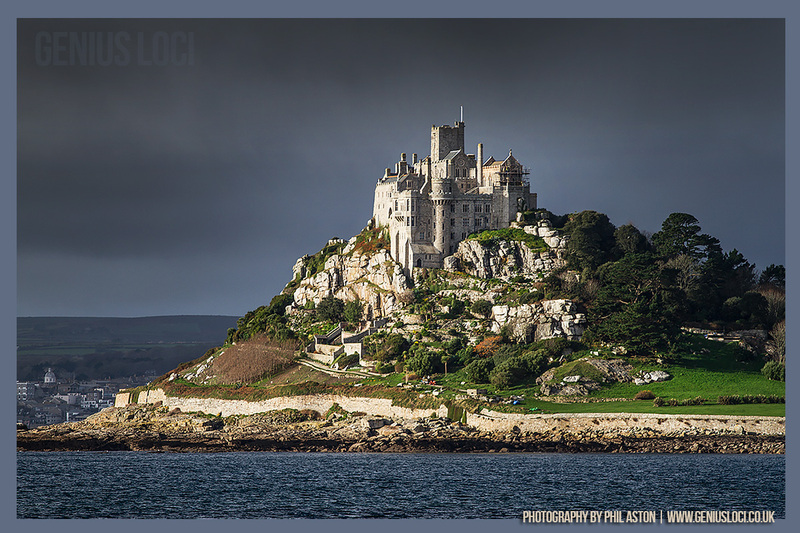 I am lucky that my morning walk takes me past St Michaels Mount in the far west of Cornwall. My mind might be on client reports or digital marketing, but then as I round the corner of the coastal path, the majestic St Michaels Mount appears. At that point everything seems possible, as that sense of wonder descends upon me. This photo was taken on a mid Winters morning and the castle looked particularly magical. NB: If you are wondering where the giant is, his crouching just around the other side. 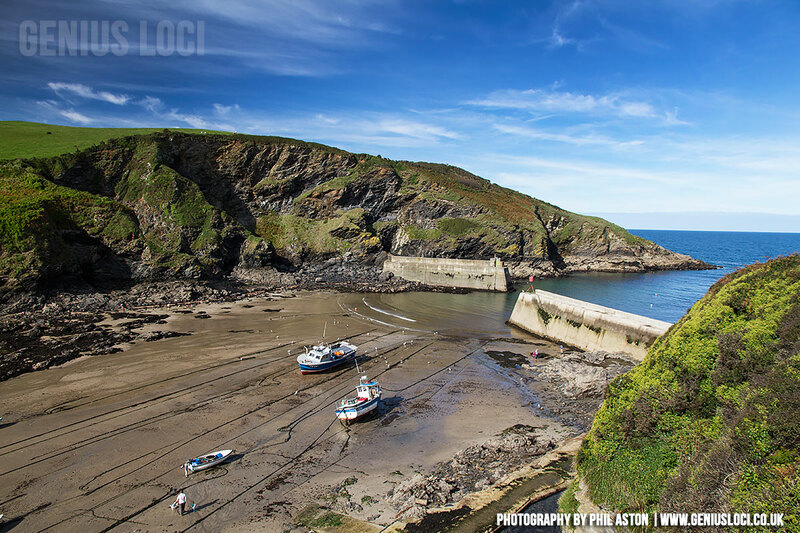 Port Isaac is well known for being the home of Doc Martin and the Fisherman’s Friends singers. It is a lovely destination and pretty much un-spoiled. We go there quite a bit as we have several clients in the area. This photo was taken during a break from a Classical Strings engagement. There are plenty of walks in the area and I would strongly advice not driving into the village. There is plenty of parking at the top of the hill overlooking Port Gaverne. On this particular trip we stopped off at the Cup Cake Cafe which was a good choice, however, there are many good places to eat and drink in Port Isaac.